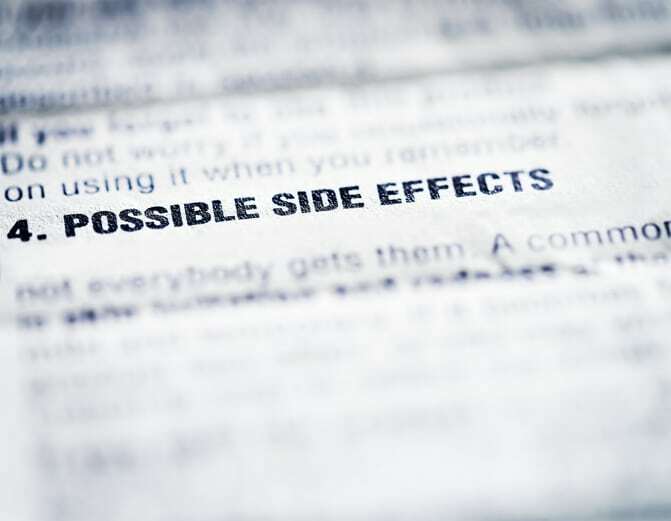 But in mid December, in an unprecedented move, the FDA removed the black box warning from Pfizer’s smoking cessation drug Chantix (varenicline). While this didn’t come as much of a surprise to some, it was a newsworthy event, receiving coverage by Reuters, The Wall Street Journal, STAT, Pharma Times, Philadelphia Business Journal, and Medscape. The decision to remove the black box warning had its roots in a study known as the EAGLES trial, which was mandated by the FDA and designed to establish the neuropsychiatric safety and efficacy of varenicline, buproprion and nicotine patches in smokers with or without psychiatric disorders. 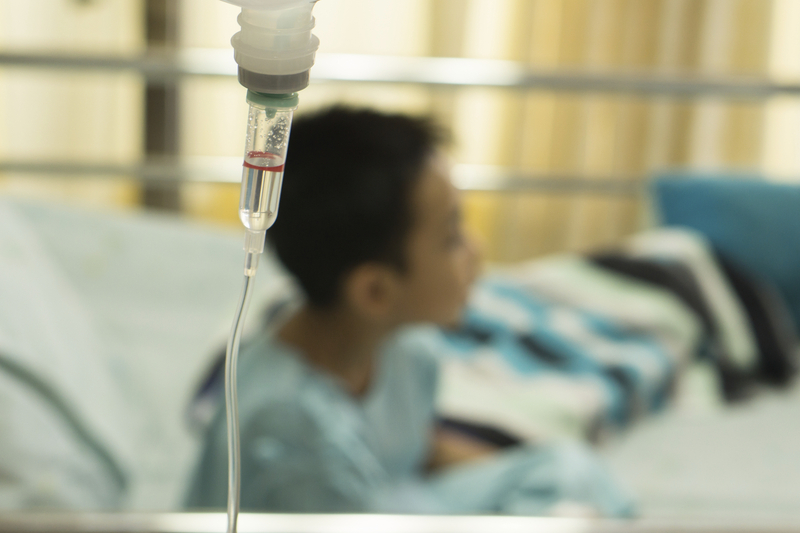 Pfizer maintained that this trial confirmed Chantix’s superiority and safety, yet the trial was highly criticized by some observers. Those objections received little attention from some news outlets that covered the label update. As a randomized placebo-controlled trial sitting at the pinnacle of the evidence pyramid, EAGLES might be expected to settle the question of Chantix’s safety. Not so, according to Thomas Moore, a senior scientist with the Institute for Safe Medication Practices, an independent nonprofit group that studies drug safety. 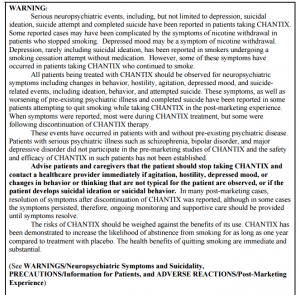 ISMP released numerous reports detailing Chantix adverse effects, including one in 2014 that analyzed Chantiz-related adverse events from 2007 through most of 2013. It found that Chantix had more cases of suicidal thoughts, self-harm, and homicidal thoughts than any other drug, by a more than three-fold margin. Moore believes that the Chantix warnings needed to be strengthened, not removed. Those concerns were echoed by Kim Witczak who sits on the the FDA Psychopharmacologic Drugs Advisory Committee as a consumer representative. As a long-time drug safety advocate, she intended to participate at the committee hearings on the safety of Chantix but was recused from this meeting because of a previous lawsuit against Pfizer. Witczak attributes her husband’s suicide in 2003 to the Pfizer antidepressant Zoloft. Over the phone from Los Angeles, she told me she attended the Washington meeting on her own dime and expressed her concerns over what the EAGLES trial did and did not show. She told the committee she looked at a small sample of 100 patients involved in the study, and in that sample there were two overdose cases and a patient who died in a car accident. None of these was coded as suicide, one of the potential adverse effects related to Chantix. Were those deaths appropriately coded? In Witczaks’s opinion, like that of Thomas Moore, the EAGLES study was funded by manufacturers and required an in-depth, independent review of all cases of adverse events in order to be certain. But this didn’t happen. 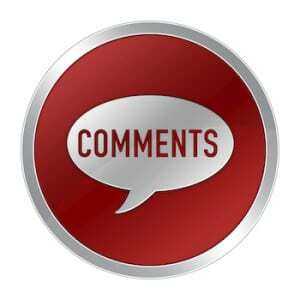 Witczak views FDA committee hearings as highly political events. In the case of Chantix, she says, patient groups dedicated to quitting smoking gave testimony begging for removal of the black box even though those groups are funded by the manufacturers of smoking cessation drugs. 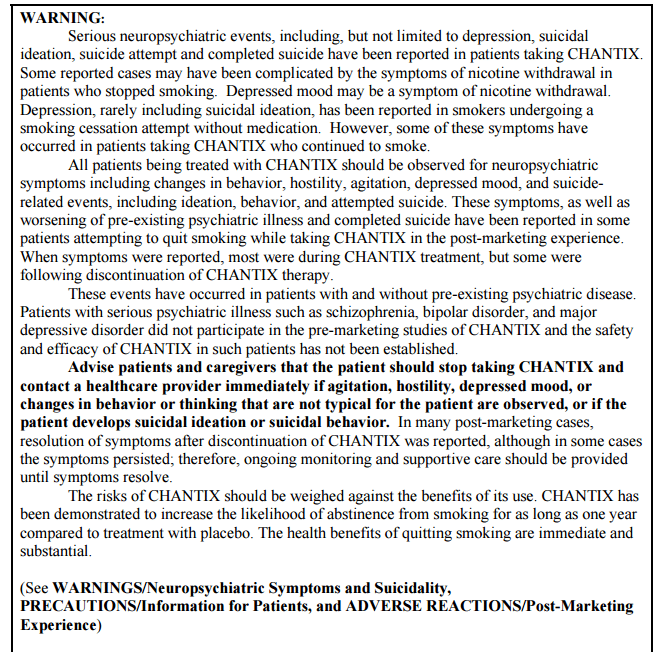 The boxed warning that was added to the Chantix label in 2009 and removed in 2016. Critics fear that this is just a first step toward additional black box rollbacks supported by industry based on potentially biased evidence. For example, antidepressants have carried a black box warning on increased risks of suicide in young people since 2004. 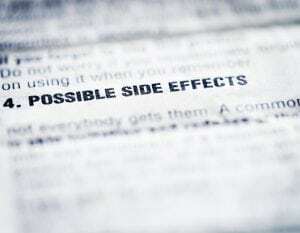 Studies questioning that warning, some of which have been conducted by researchers tied to the pharmaceutical industry, have been appearing ever since. 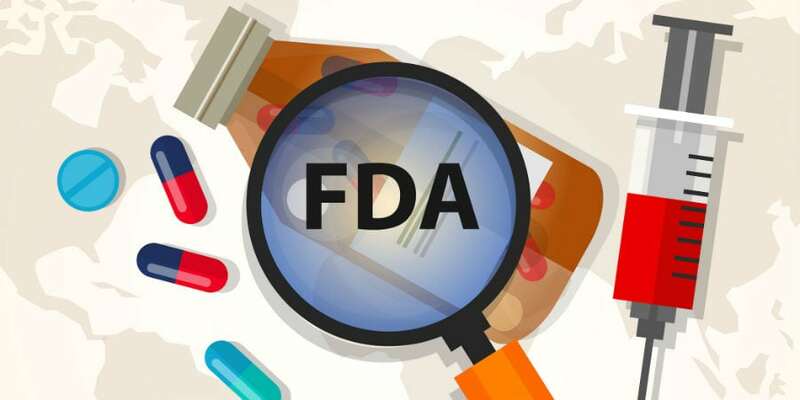 FDA officials have been quick to point out the many flaws in these analyses, but one wonders how consistent that position will remain in the face of a changing U.S. administration with possibly radically different regulatory priorities.